PLEASE READ THE FOLLOWING TERMS AND CONDITIONS CAREFULLY BEFORE USING THIS SITE. By using this site, you signify your agreement to these Terms and Conditions. If you do not agree to these Terms and Conditions, do not use this site. Cayman Islands Tourism Association may modify these Terms and Conditions at anytime. This site is copyright protected. 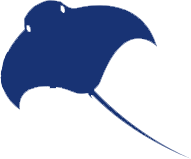 Any textual or graphic material you copy, print, or download is licensed to you by Cayman Islands Tourism Association, Inc. and/or its subsidiaries ("Cayman Islands Tourism Association") for your personal, non-commercial home use only, provided that you do not change or delete any copyright, trademark or other proprietary notices. If you download software from the site, the software, including all files and images, contained in or generated by the software, and accompanying data (together referred to as "Software") are deemed to be licensed to you by Cayman Islands Tourism Association, for your personal, non-commercial home use only. Cayman Islands Tourism Association does not transfer either the title or the intellectual property rights to the Software and Cayman Islands Tourism Association retains full and complete title to the Software as well as all intellectual property rights therein. You may not sell, redistribute or reproduce the Software, nor may you decompile, reverse engineer, disassemble or otherwise convert the Software to a human-perceivable form. All trademarks and logos are owned by Cayman Islands Tourism Association or its licensors and you may not copy or use them in any manner. This site is controlled and operated by Cayman Islands Tourism Association, from its offices within the Cayman Islands. Cayman Islands Tourism Association makes no representation that materials in the site are appropriate or available for use in other locations. Those who choose to access this site from other locations do so on their own initiative and are responsible for compliance with local laws, if and to the extent local laws are applicable. Software from this site is subject to Cayman Islands export controls. No software from this site may be downloaded or otherwise exported or re-exported. By downloading or using the software, you represent and warrant that you are not located in, under the control of, or a national or resident of any such country or on any such list. Cayman Islands Tourism Association may change, move or delete portions of, or may add to, this web site from time to time. THE MATERIALS IN THIS SITE ARE PROVIDED "AS IS" AND WITHOUT WARRANTIES OF ANY KIND EITHER EXPRESS OR IMPLIED. CAYMAN ISLANDS TOURISM ASSOCIATION DOES NOT WARRANT OR MAKE ANY REPRESENTATIONS REGARDING THE USE OR THE RESULTS OF THE USE OF THE CONTENT OR OTHER MATERIALS IN THIS SITE IN TERMS OF THEIR CORRECTNESS, ACCURACY, RELIABILITY, OR OTHERWISE. All materials, including without limitation, annual reports to shareholders, press releases and Cayman Islands Tourism Association filings with the Cayman Islands reproduced on this site speak as of the original date of publication or filing. The fact that a document is available on this site does not mean that the information contained in such document has not been modified or superseded by events or by a subsequent document or filing. 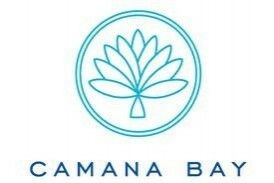 Any forward-looking statement reproduced on this site speaks as of the original date the document containing such statement was published or filed and should be read together with certain factors set forth in the Company's Annual Report, and in other Cayman Islands Tourism Association filings in the Cayman Islands that could cause actual future events or results to differ materially from anticipated events or results. Cayman Islands Tourism Association has no duty or policy to update any information or statements contained on this site and, therefore, such information or statements should not be relied upon as being current as of the date you access this site. Moreover, any portion of the materials available on this site may include technical inaccuracies or typographical errors. 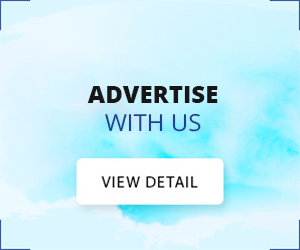 Changes may be made from time to time without notice to the materials available on this site, the Software and to the products described on this site. TO THE FULLEST EXTENT PERMISSABLE PURSUANT TO APPLICABLE LAW, CAYMAN ISLANDS TOURISM ASSOCIATION DISCLAIMS ALL WARRANTIES, EXPRESS OR IMPLIED, INCLUDING, BUT NOT LIMITED TO IMPLIED WARRANTIES OF MERCHANTABILITY, FITNESS FOR A PARTICULAR PURPOSE AND NON-INFRINGEMENT. CAYMAN ISLANDS TOURISM ASSOCIATION DOES NOT WARRANT THE ACCURACY, COMPLETENESS OR USEFULNESS OF ANY INFORMATION CONTAINED ON THIS SITE. 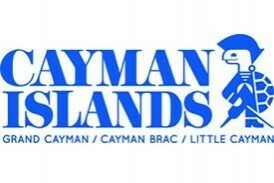 CAYMAN ISLANDS TOURISM ASSOCIATION DOES NOT WARRANT THAT THE FUNCTIONS CONTAINED IN THE MATERIALS AVAILABLE ON THIS SITE WILL BE UNINTERRUPTED OR ERROR-FREE, THAT DEFECTS WILL BE CORRECTED, OR THAT THE MATERIALS, THIS SITE OR THE SERVER THAT MAKES THEM AVAILABLE ARE FREE OF VIRUSES OR OTHER HARMFUL COMPONENTS. YOU (AND NOT CAYMAN ISLANDS TOURISM ASSOCIATION) ASSUME THE ENTIRE COST OF ALL NECESSARY SERVICING, REPAIR AND CORRECTION. UNDER NO CIRCUMSTANCES, INCLUDING, BUT NOT LIMITED TO, NEGLIGENCE, SHALL CAYMAN ISLANDS TOURISM ASSOCIATION BE LIABLE FOR ANY SPECIAL OR CONSEQUENTIAL DAMAGES THAT RESULT FROM THE USE OF, OR THE INABILITY TO USE, SITE OR ANY DOWNLOADED MATERIALS, EVEN IF CAYMAN ISLANDS TOURISM ASSOCIATION OR ITS REPRESENTATIVE HAS BEEN ADVISED OF THE POSSIBILITY OF SUCH DAMAGES. IN NO EVENT SHALL CAYMAN ISLANDS TOURISM ASSOCIATION'S TOTAL LIABILITY TO YOU FROM ALL DAMAGES, LOSSES, AND CAUSES OF ACTION (WHETHER IN CONTRACT, OR OTHERWISE) EXCEED THE AMOUNT YOU PAID TO CAYMAN ISLANDS TOURISM ASSOCIATION, IF ANY, FOR PRODUCTS PURCHASED ON THIS SITE. Cayman Islands Tourism Association makes no representation whatsoever regarding the content of any other web sites which you may access from this site. When you access a non-Cayman Islands Tourism Association web site, please understand that it is independent from Cayman Islands Tourism Association and that Cayman Islands Tourism Association has no control over the content on that web site. A link to a non-Cayman Islands Tourism Association web site does not mean that Cayman Islands Tourism Association endorses or accepts any responsibility for the content or use of such web site. Should any viewer of a document on this web site respond to Cayman Islands Tourism Association with information including feedback data, such as questions, comments, suggestions, or the like regarding the site, or the content of any item, such information shall be deemed to be non-confidential and Cayman Islands Tourism Association shall have no obligation of any kind with respect to such information. In addition, Cayman Islands Tourism Association shall be free to reproduce, use, disclose, display, exhibit, transmit, perform, create derivative works, and distribute the information to others without limitation, and to authorize others to do the same. Further, Cayman Islands Tourism Association shall be free to use any ideas, concepts, know-how or techniques contained in such information for any purpose whatsoever, including, but not limited to, developing, manufacturing and marketing products and other items incorporating such information. This paragraph is not intended to apply to any personal information about you (such as name, mailing address and e-mail address), the use of which will be governed by Cayman Islands Tourism Association's Privacy Statement. In consideration of Cayman Islands Tourism Association's continuing efforts to enhance and improve these products and to respond to feedback from users, you agree to transfer such ideas, concepts, know-how and techniques to Cayman Islands Tourism Association without any compensation. You agree to execute any and all documents that Cayman Islands Tourism Association may reasonably request in connection with confirming Cayman Islands Tourism Association's ownership of and unlimited right to use such ideas, concepts, know-how and techniques. This Agreement is effective unless and until terminated by either you or Cayman Islands Tourism Association. You may terminate this Agreement at any time by no longer using this web site, provided that all prior uses of this web site shall be governed by this Agreement. Cayman Islands Tourism Association may terminate this Agreement at any time and without notice, and accordingly deny you access to this web site, in Cayman Islands Tourism Association's sole discretion for any reason, including your failure to comply with any term or provision of this Agreement. Upon any termination of this Agreement by either you or Cayman Islands Tourism Association, you must promptly destroy all materials downloaded or otherwise obtained from this web site, as well as all copies of such materials, whether made under the terms of this Agreement or otherwise.